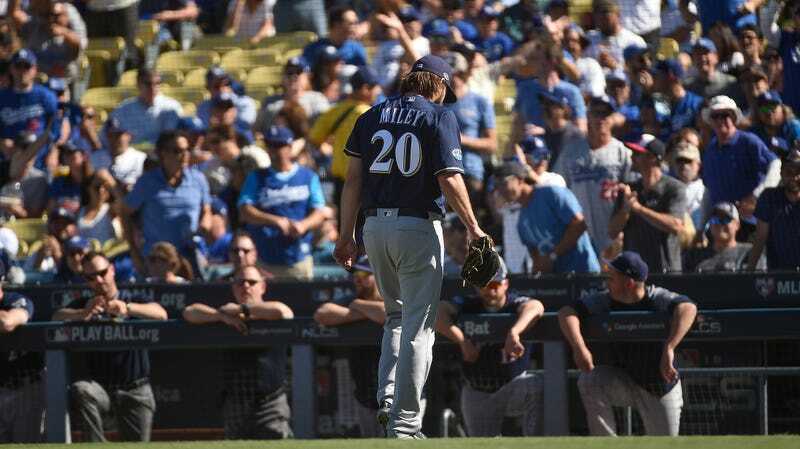 Left-handed pitcher Wade Miley appeared to be the Brewers’ starter for Game 5 of the NLCS today. And technically, he was. But after Miley gave up a lead-off walk in the first, Brewers manager Craig Counsell immediately went out to the mound and gave Miley the hook, replacing him with the right-handed long reliever Brandon Woodruff. Miley was not injured, and Counsell didn’t yank him out of disgust from the walk. 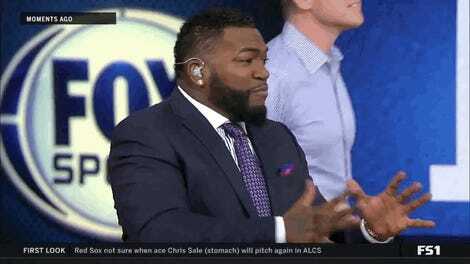 By all reports, this was an intentional surprise on the Brewers’ end, as they’re apparently looking to win any advantage they can in a crucial game against opposing starter Clayton Kershaw. The Miley deception forced Dodgers manager Dave Roberts to put out his lefty-pitcher optimized batting lineup, then rendered that lineup weaker with the sudden switch. David Freese (who batted third in the order and struck out in the first), Justin Turner, and catcher Austin Barnes are the three Dodgers most affected by the move. Miley, meanwhile, will get ready for Game 6, where he’ll become the first pitcher to start back-to-back games in a series in (at least) a very, very, very long time.